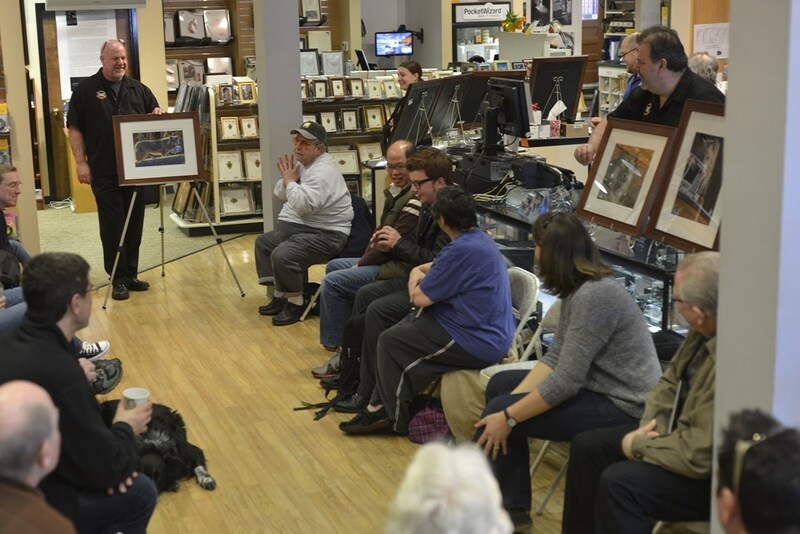 Focus sessions are free and take place in the Westwood store from 9:30 am – 10 am. All sessions will allow for questions and answers. Please bring your camera and any images along that you have questions about. Feel free to use the comment option to make suggestions for future focus sessions. These are free events – bring a friend along if you’d like. Share with your friends on Facebook – Click the Like button below. Hope you can join us! The weather outside is frightful, but the pictures can still be delightful. Online tips not your favorite way of learning? 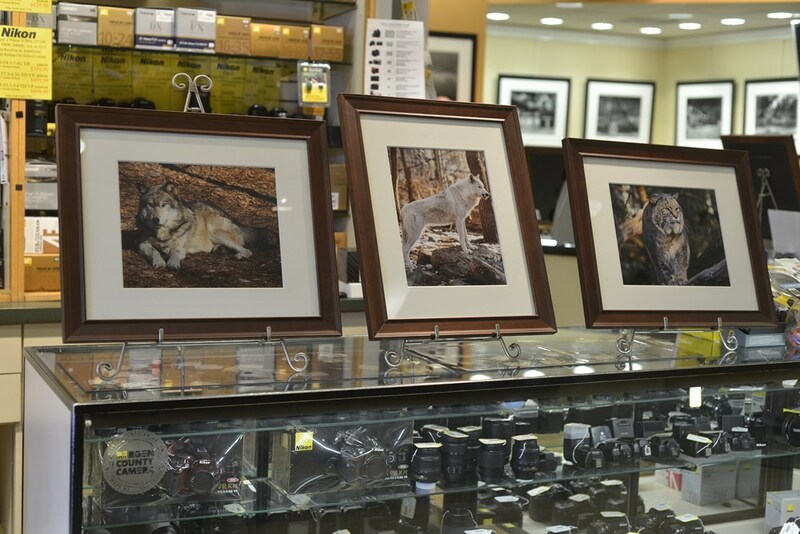 Stop in Saturday, December 21st for our Focus Sesson, “Winter Photography”. We’ve compiled several previous blog posts filled with tips and tricks to get the best out of your camera this winter. Shooting in the winter (especially when snowing, sleeting or below freezing) can certainly be a challenge. 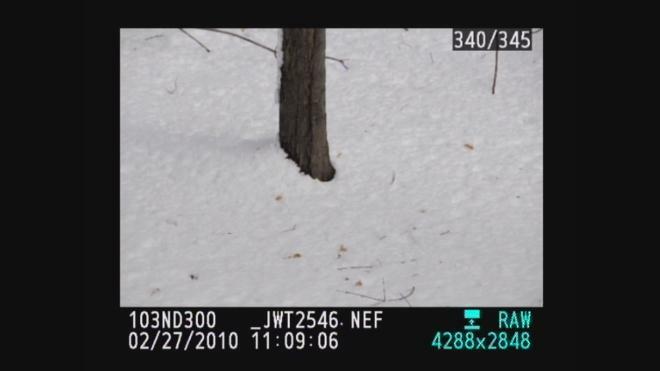 Here are a few pointers to make your winter shooting that much easier. 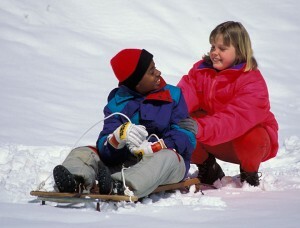 Batteries – The number of frames you can take can drop dramatically the colder it gets especially below 30. When you plan on shooting outside for an extended period of time keep one or two spare batteries in a coat or pants pocket that is warm and close to the body. As soon as your low battery indicator flashes stop shooting and rotate a warm battery into the camera. Rain, Sleet and Snow – Always keep an inexpensive plastic bag in the bottom of your camera bag. If you get caught out in precipitation simply put your entire camera bag inside and make your way back. If you need to shoot in rain, sleet, or snow you can always purchase an Aquapac or any protective rain-sleeve to protect your camera and lens from damage. Polarizing Filters – Great for reducing glare especially off of snow and glass. Colors always look better when glare is reduced. Don’t stack your filters and remember to remove your polarizer when it gets darker or you move inside. Always remember – a polarizer can cut the amount of light entering the lens in half ( 1 f-stop). Hand Warmers – this years addition to the list comes from outdoor sports enthusiasts. Available at most sporting goods stores and for about $2 can keep your hands warm for 4 – 6 hours. Special versions are available to keep your toes warm as well. Why are my snow pictures dull grey? 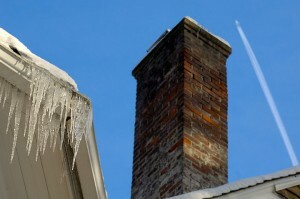 Here’s the first in some winter picture taking tips that we are putting together. A common complaint we hear when people bring their winter pictures in is – “my pictures look dull,” “the snow looks grey, not white.” Read on for the short and the long answer. The picture you see is the one above with white snow . . . The picture your camera captures has grey snow as shown below. So the question is – How do I get white snow? The short answer is you need to overexpose by using the Exposure Compensation +/- feature on your camera. Using the exposure compensation automatically makes this adjustment so your camera still can remain fully automatic. In the case of a Nikon you would press the +/- button while rotating the control wheel until +1.0 shows in the display. Your owners manual will explain this in detail or feel free to stop by the store to learn how to make the settings on your camera. Be sure to take some test shots so you get the hang of how this works. If less of your image is taken up with the snow you can try the + 0.7 or + 0.3 setting to reduce the brightening effect. 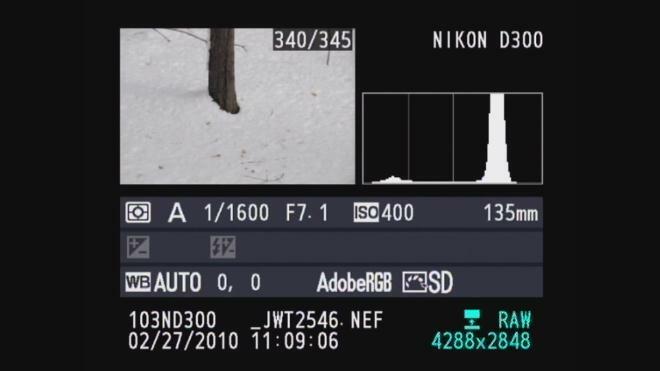 After taking your snow photos just remember to turn the exposure compensation +/- back to zero. This is all caused by a camera’s meter system which is designed to see “18% grey” ( the solid gray image to the left ). Essentially anytime you take a picture that is predominantly white or black the camera will make the wrong exposure. Since the cameras meter can only see grey, an “average scene”, we only need to make adjustments when our scene is predominantly white or black. Luckily 98% of what most of us shoot are scenes with average lighting values and need no adjustment. Predominantly white scenes ( think Snow, white sand beaches, clouds )will be moved toward grey so we must over expose from .5 – 1.5 stops to get true white by using the +/-. Predominantly black scenes ( think black cars, black buildings, black sand beaches )will be moved toward grey so we must under expose .5 – 1.5 stops to get true black by using the +/-. A future tutorial will explain how to get perfect exposures using a grey card. For those familiar with histograms we can further look into diagnosing our exposure. 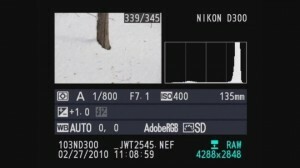 The histograms are shown below with both our camera exposure and with exposure compensation set on + 1.0. Histograms are available in almost any digital camera including point and shoots and most imaging programs like Photoshop Elements. A histogram is just a map of the tonal values in our image from black (left most point) to white (right most point) with the height representing how much of the image is at a particular level of brightness. Your histogram will look the same in camera and when you open that image up in your imaging program. In the grey snow example above our histogram has a good deal of room before the white point on the right so the image represented by this histogram is a shade of grey not white. By overexposing one stop ( +/- +1.0) the camera automatically adjusts and allows 1 extra stop or twice the amount of light. As you can see from the histogram below we still have a small amount of room before the white point (this room indicates we have not blown out our highlights. If this histogram started all the way to the right and did not build to a peak, this would indicate over exposure and blown out highlights. The fix would be to reduce the exposure compensation from +1.0 to +0.7 and check again. The peak will move to the left each time you reduce your exposure. More on histograms in an upcoming tutorial. Whether you’re trying to get the perfect shot of your decorated home, taking family photos in front of the tree, or using the lights to get an interesting photo, Christmas Lights can be tricky to photograph. Each situation requires different gear and a different camera set up. With photos of homes lit by Christmas lights, you’re going to want a closed down aperture, a slow shutter speed, and a low ISO. With a closed down aperture(F/11, f/16), you’ll get plenty of depth of focus so everything from your windows to the trees in the distance will be in focus. The slow shutter speed will allow you to properly expose your image, and the low ISO will keep noise in your photo to a minimum. Because your shutter speed with be slower then 1/60th of a second, you’re going to need a tripod to hold the camera steady. For a unique look, try throwing a colored gel on your flash and setting it off once during the photo. 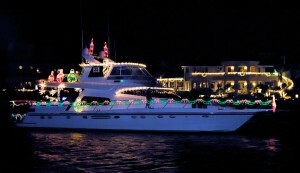 To take the best photos involving both your family or another subject in front of Christmas lights involves using a flash. Place the camera on a Tripod and set the flash to rear curtain sync. This will fire the flash at the end of your photo. Allowing a slow shutter speed to expose the lights, then the flash to illuminate your subject in the front of the image. To join the picture, use a wireless remote or set the camera to a 10 second delay. BCC Employee Juline Moreland’s creative recycling of film canisters says both “Happy Holidays” and “Don’t Forget Your Camera”. 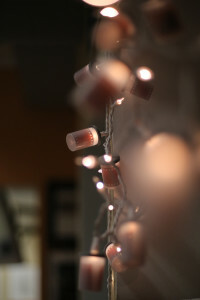 One of my favorite aspects of Christmas lights, are how they look when they fall out of your depth of focus. Each small bulb becomes an otherworldly glowing ball of light. Use a lens with a wide aperture (f/1.8, f/1.4) to allow only a sliver of focus in your image. Thus creating an interesting and beautiful background to your subjects. We hope you’ll enjoy this beautiful weather, but remember to stay safe. Should you have any questions of comments feel free to stop in at Bergen County Camera, comment on this post, or message us on our Facebook page. 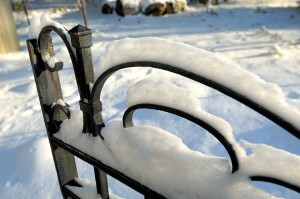 Winter Photography – Free Focus Session in Westwood December 29 at 9:30 am. Focus Sessions take place almost every Saturday at 9:30 am at our Westwood location and are open to everyone – bring a friend! 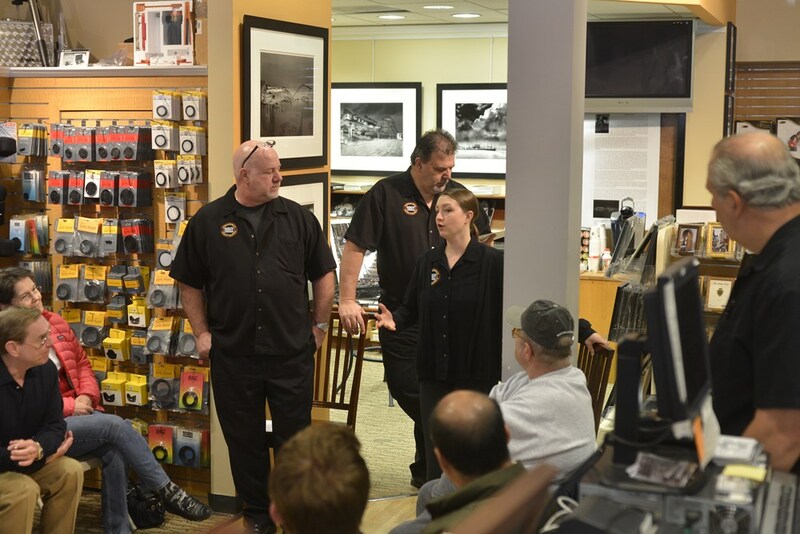 Our Englewood location hosts a Q&A every Saturday at 10:30 just bring your photography or imaging based question. Below is a collection of blog posts related to the holidays and winter picture taking to hopefully inspire and provide some helpful tips. Please email, call or stop in if you have any questions about photography we’re here to help. In addition to a weekly Free Focus Sessions, we offer a range of photography and imaging classes on a variety of topics. 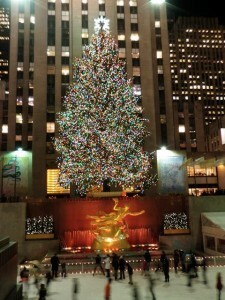 Whether you are home for the Holidays or on the road with the Griswolds, the splendor of “Light” is everywhere. Open up the exposure compensation on your camera +0.7 to +1.3 and use selective focusing to compose your favorite Holiday Illumination. Don’t forget your tripod when capturing lights at night! And ya better not cry. YES, you can dip your captured pixels into a digital processing program to further enhance ‘your’ vision. 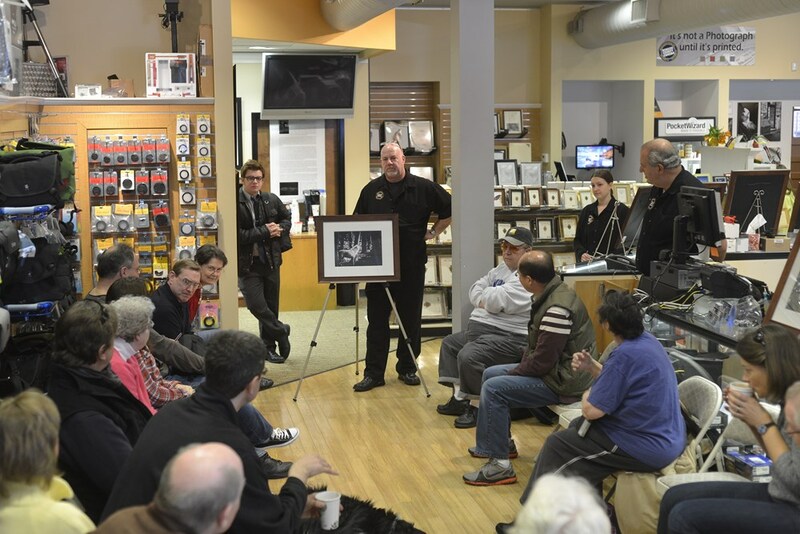 Come by any Bergen County Camera location with any questions you have, or stop by our Westwood Store for a Free Saturday Focus Session on a host of subjects almost every Saturday. Don’t miss December 29th’s Free Focus Session – Winter Shooting starting at 9:30 am. Call or email BCC’s Abby Passman for a private or group session on Digital Photo Processing! Last, while the Lights will be bright, the mercury may dip. Keep a spare camera battery in your jacket pocket (warmer next to ‘you’ than in a bag or case) so that the joy of capturing pixels will not freeze up. Please feel free to share your comments! The weekend’s precipitous frozen flurry presented a wondrous opportunity to capture the majesty of winter’s cloak. Armored in boots, cap and gloves, I marched into the white of Sunday morning’s golden light with my Nikon D-SLR and a spare battery, of course, warm and snug in the pocket of my Gortex jacket! 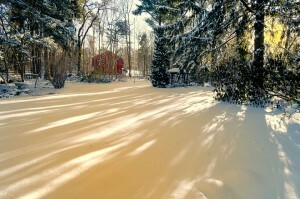 Strong diagonal rays and shadows accentuate a classic winter scene. Have a question about winter photography? 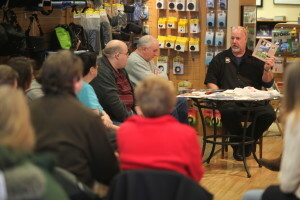 Please leave a comment, email, visit the store or visit our Winter shooting tips on our blog. Focus sessions are free and take place in the Westwood store from 9:30 am – 10 am and our Englewood location from 10:30 am – 11:00 am. All sessions will allow for questions and answers. Please bring your camera and any images along that you have questions about. January 21 – Online Photo Services – How to Use etc.